Starting from : €1,895.00(3 Foot). The Rembrandt Wooden Electric Adjustable Bed is finished in Whitewashed Brushed Oak with a Curved Finish. Scroll down, or Click Here for Full Price List of Rembrandt Electric Adjustable Bed Range. The photo is of a Single Mechanism/Single Mattress 4ft 6in (Small Double Bed) Rembrandt Electric Adjustable Bed. The frames are modern grey with a traditional wood finish. The tops are Brushed Oak to give a distressed look. The visible woodgrain makes this modern look a true classic. The Rembrandt Curved Electric Adjustable Bed is also available in a beautiful Slatted(Straight) style. The Rembrandt Electric Adjustable Bed range are also available in Extra Long Length for the Taller Person.Click here for more information. 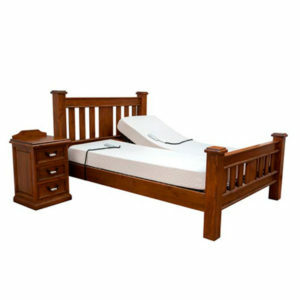 Superb range of matching Bedroom Furniture available to complement BOTH of the Rembrandt Electric Adjustable Bed styles. 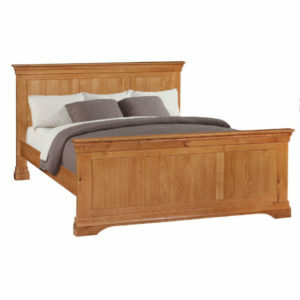 The Lislee Wooden Electric Adjustable Bed is a very stylish slatted bed with a beautiful Solid Oak finish which will never date and complement any bedroom.Scroll down, or Click Here for Full Price List of the Lislee Wooden Electric Adjustable Bed Range.The photo is of a Single Mechanism/Single Mattress 4ft 6in(Small Double Bed) Lislee Electric Adjustable Bed. The 5ft & 6ft Lislee are both Dual Beds, with 2 Adjustable Mechanisms, and 2 Mattresses, for Independent Movement.There are 2 other Lislee Bed styles available : Lislee Curved Lislee Low Foot EndThe Lislee Electric Adjustable Bed Range are also available in Extra Long Length for the Taller Person.Click here for more information. Superb range of matching Bedroom Furniture available to complement all 3 of the Lislee Electric Adjustable Bed styles. 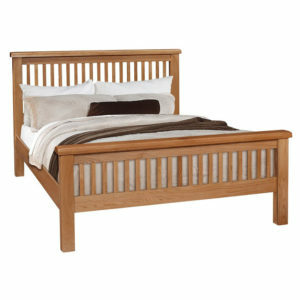 The Crossbarry Wooden Electric Adjustable Bed is a very stylish Solid Oak Wooden Bed. A statement piece of furniture for any bedroom.Scroll down, or Click Here for Full Price List of Crossbarry Electric Adjustable Bed Range.The Crossbarry Electric Adjustable Bed is also available in Extra Long Length for the Taller Person.Click here for more information.Please click on photo see the full range of Crossbarry Bedroom Furniture : Crafted in traditional Solid French Oak style.The photo of the Crossbarry Bed is of a Single Mechanism/One Mattress 4ft 6in Small Double Bed The 5ft & 6ft Crossbarry are both Dual Beds, with 2 adjustable mechanisms, and 2 mattresses, for independent movement. The frames are Modern Grey with a traditional wood finish. The tops are Brushed Oak to give a distressed look. The visible woodgrain makes this modern look a true classic. 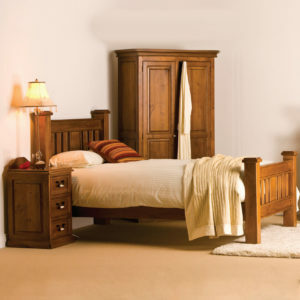 This bed has a 5 year guarantee on the bed base and headboard. The adjustable bed mechanism is manufactured to the highest quality German standards, and has a 5 year guarantee. Most of our mattresses are manufactured in Ireland. Easy to use remote control hand set. The Rembrandt electric adjustable bed is suitable for a High Low/Vertical Lift/Carer’s Bed Mechanism, which makes it far easier for a Carer to get easy access to their client. Choosing a mattress is a very personal choice. Care to Comfort offers a large selection of mattress’s. (1) Floatation Pocket Sprung . (1) Memory(7 inch or 9 inch). (2) Latex (7 inch or 9 inch). Sizes Available : 3ft, 4ft 6in, 5ft, 6ft. (Special orders can be made to any height or length). Size 3ft : is a Single Bed(One Mattress)(One Adjustable Mechanism). Size 4ft 6inch : is a Small Double Bed(One Mattress)(One Adjustable Mechanism). Sizes 5ft & 6ft: are Dual Beds,(with 2 Separate Mattresses)(2 Separate Adjustable Mechanisms) for independent movement. Bed Height (from floor to top of mattress) : 21 inches(approx). Extra Bed Length available : 2.10 Metres(6ft 11″) & 2.20 Metres(7ft 3″). Our standard adjustable bed height is 22 inches from the floor to the top of the mattress (like most beds). We can make your bed to suit your height. This bed has a 7 inch gap between the floor and the base, which is ideal for when using a bed table or a hoist, or if the customer needs the assistance of a Carer. Orthopaedic Beds, and Orthopaedic Chairs MAY be Tax Deductable. Please take advice from your Financial Consultant. New standards in care for young people. The innovative Dino Nursing Care Bed from Hermann Bock GmbH , is perfectly tailored to the needs of children requiring care. Young patients can receive care either from the comfort of their own home,or at paediatric rehabilitation centres. With its warm wood tones and transparent acrylic glass element, the visually appealing bed offers children the necessary sense of security as well as accessibility and optimal safety. Lying surface dimension: 90 cm(3 foot) x 170 cm(5.25 Feet). Maximum person weight: 135 kg(21.25 stone). Prices Available On Request.Manufactured in Germany by Hermann Bock GmbH . 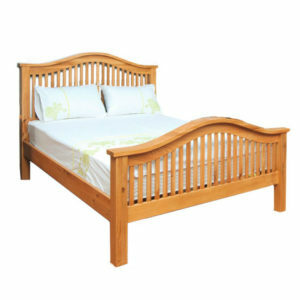 Send Enquiry for Lislee Wooden Electric Adjustable Bed – Curved. Lislee Wooden Electric Adjustable Bed – Curved. Starting from : €1,495.00(3 Foot). The Lislee Wooden Electric Electric Adjustable Bed is a very stylish curved Slatted bed, made out of Solid Oak which will never date and complement any bedroom. Scroll down, or Click Here for Full Price List of the Lislee Wooden Electric Adjustable Bed Range.The photo is of a Single Mechanism/one Mattress 4ft 6in (Small Double Bed) Lislee Electric Adjustable Bed. The 5ft & 6ft Lislee are both Dual Beds, with 2 Adjustable Mechanisms, and 2 Mattresses for independent movement.The Lislee Range of Electric Adjustable Beds is available in TWO other distinctive styles :Lislee Slatted Electric Adjustable Bed.Lislee Curved(with Low Foot End) Electric Adjustable Bed.The Lislee Electric Adjustable Bed Range are also available in Extra Long Length for the Taller Person.Click here for more information. The Practico Ultra Low 9.5/80cm can be Lowered so far down to the floor that restless patients would roll out of bed if it came to that, in Complete Safety. A height of just 9.5cm(3.75 inches) off the ground practically ensures complete patient safety. Width : 90cm(3 foot).Length : 200cm(6foot 6inches) which can be increased up to 220cm(7 foot 2 inches). Maximum person weight: 185 kg(29 Stone). Price : Available on Request. Starting from : €2,295.00(4ft 6 inch). The Hanna Wooden Electric Adjustable Bed is a stunning bed manufactured from Mountain Ash Timber and finished in a rich charcoal colour. The bed frame feature 3 vertical panels in both Headboard and Baseboard.Scroll down, or Click Here for Full Price List of Hanna Electric Adjustable Bed Range.The photo is of a Single Mechanism/Single Mattress (4foot 6inch) Hanna Electric Adjustable Bed. The 5foot & 6foot Hanna are both Dual Beds, with 2 adjustable mechanisms, and 2 mattresses, for independent movement.The Hanna Electric Adjustable Bed is also available in Extra Long Length for the Taller Person.Click here for more information.Superb range of matching Bedroom Furniture available to complement the Hanna Electric Adjustable Bed. The Moya Electric Adjustable Bed, is a Slatted Bed Straight and is finished in a Semi Gloss Silent Grey with Solid Oak Bevelled Tops. The Silent Grey is a recent trend in interior design and is proving very popular.Scroll down, or Click Here for Full Price List of Moya Electric Adjustable Bed Range.The photo is of a Single Mechanism/Single Mattress 4ft 6in (Small Double Bed) Moya Electric Adjustable Bed. The Moya Electric Adjustable Bed range are also available in Extra Long Length for the Taller Person.Click here for more information. Superb range of matching Bedroom Furniture available to complement BOTH of the Moya Electric Adjustable Bed styles. The 5ft & 6ft Moya are both Dual Beds, with 2 Adjustable Mechanisms, and 2 Mattresses, for independent movement.The Moya Electrical Adjustable Bed is also available in a Curved Head and Foot Board style. The Amstel Wooden Electrical Adjustable Bed is an elegant slatted style, with curved lines, a cream finish and a beautiful Solid Oak Trim. Scroll down, or Click here for Full Price List of Amstel Electric Adjustable Bed(Range).It is a stunning feature for any bedroom. The photo is of a Single Mechanism/Single Mattress 4foot 6inch(Small Double Bed) Amstel Electric Adjustable Bed. The 5ft & 6ft Amstel Curved are both Dual Beds, with 2 adjustable mechanisms, and 2 mattresses, for independent movement.The Amstel Curved Electric Adjustable Bed is also available in a Straight/Slatted Style : See Amstel SlattedThe Amstel Electric Adjustable Bed range are also available in Extra Long Length for the Taller Person.Click here for more information.Superb matching bedroom furniture available to complement BOTH Amstel Electric Adjustable Beds. With its child-friendly design, the Kangbo Cot is 70cm (27.55 inches) x 140cm (55.10 inches) Cot is tailored to meet the needs of young patients.Lying surface dimension: 70cm(2.30ft) x 140cm(4.60ft).Maximum person weight: 135 kg(21.25 Stone). Send Enquiry for Dino Adolescent Care Bed. The bed that grows with you. The innovative Dino Adolescent Care Bed from Hermann Bock offers the best possible support and safety in everyday Adolescent nursing care. The Dino modular nursing care bed can be Expanded and Tailored to the requirements of Young People, as they grow. Lying surface dimension: 90cm(3 foot) x 200cm(6 ft 6 inches). Manufactured in Germany by Hermann Bock GmbH. The Domiflex Low-Low Classic is a functional Low-Low Elrectric Adjustable Bed that enhances autonomy and comfort in Home Care. The Domiflex Low Classic protects patients who are prone to falling WITHOUT limiting their mobility. The height of this bed can be Lowered All The Way Down to 21cm(8.25 inches), minimising the risk of injury to patients if they fall out of bed while they sleep. A roll-down mattress is recommended in conjunction with this bed. The Domiflex Classic Low-Low Bed, also has the High-Low Function, which greatly assists Carer's , in assisting their clients. Lying surface dimension: 90cm(3ft) x 200cm(6ft.6 inches). Bed Length can be increased up to 220cm(7ft.2inches). A Lifting Pole can be supplied with the Domiflex Classic Low-Low Bed. Price: Size 3Foot(90cm) x 6Foot 6 inches(2 metre) @ €1,895.00.The above prices are subject to VAT @ 23%. This simple bed has a Semi Gloss Champagne Lacquer Finish that gives the exquisite Dunderrow Wooden Electric Adjustable Bed a beautiful modern feel with a Low Foot End.Scroll down, or Click Here for Full Price List of the Dunderrow Electric Adjustable Bed Range.The photo is of a Single Mechanism/One Mattress 4ft Dunderrow Electric Adjustable Bed. The 5ft Dunderrow is a Dual Bed, with 2 adjustable mechanisms and 2 mattresses, for independent movement.The Dunderrow Electric Adjustable Bed is also available in Extra Long Length for the Taller Person.Click here for more information.Superb matching bedroom furniture available to complement the Dunderrow Electric Adjustable Bed. Send Enquiry for Slievaduff Wooden Electric Adjustable Bed. Slievaduff Wooden Electric Adjustable Bed. Starting from : €3,195.00(4 Foot 6 inch). The Slievaduff Wooden Electric Adjustable bed is a beautiful modern Dark Wood bed which will complement any bedroom. Scroll down, or Click Here for Full Price List of Slievaduff Electric Adjustable Bed Range.The Slievaduff Bed in the photo is a 6 ft DUAL bed, which has 2 x 3ft Electric Adjustable Mechanisms, and 2 x 3 ft Mattresses(several options available), each side working independently.Superb range of Bedroom Furniture available to complement the Slievaduff Electric Adjustable Bed. The Slievaduff Electric Adjustable Bed is also available in Extra Long Length for the Taller Person.Click here for more information.